PhD Chemistry student by day, world class ambient escapist by night. 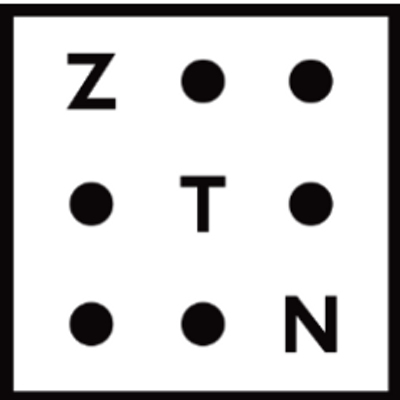 the opening song from the EP, is a triumphant example of Tom's more ambient productions, as well as Nathan's (Monsoonsiren) soaring falsetto, which serve as the building blocks for their collaborations. Melbourne duo who make their own brand of diva house ready for the kind of club that serves cappuccinos. Ll’vo, The lovely me, River Deep and KL are RaRa: a Melbourne hip hop group characterized by colossal personalities. As River Deep told SpeakerTV: “We’re kin, but we’re a singularity. Pink and Teal was a collab’ heavy collection of straight up bangers, new track ‘Faries’ signals a journey into new territory, showcasing just how much RaRa can do on their own. RaRa are full of instrumental surprises and stunning sentimentalities and ‘Faries’ wastes no time in reminding us of that. Australian rapper Marcus is one of a new breed of young artists striving to turn his niche local hip-hop scene into a world-class hotbed of cultural innovation. ​‘Toast’ ​is the musical brainchild of Marcus & Basquiat JR (the producer behind the 2015 Joey Badass hit ‘Christ Conscious’​). The unlikely duo connected through Twitter over mutual respect for each others' music and set about creating a song that pushes the envelope of hip ­hop in Australia. 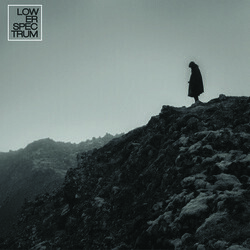 Lower Spectrum bathes your brain in lush textures, with surprising and explosive atmospheres set in unencumbered, unearthly spaces, all blending against crackly vinyl chops, warm analog colours and deep-­laced rhythms. 17-year-old ambient pop producer who counts Gotye, Chet Faker and Bombay Bicycle Club as fans. The enigmatic Japanese Wallpaper returns with ‘Waves (ft. Pepa Knight)’. The track is a consolidation the young musicians comprehensive ability to write beautifully forlorn, down-tempo electronica. Strum has once again cast the song perfectly, with Jinja Safari muti-instrumentalist Pepa Knight providing a dreamy, blissed-out performance vocal track that conveys. Having dominated 2015 with the release of his debut EP, a regular strings of sold-out performances, Japanese Wallpaper reveals his Deluxe Remix EP ahead of his performances at Laneway Festival. Japanese Wallpaper’s talents transcend his mere 17 years. A multi-instrumentalist from a young age, the word ‘prodigy’ certainly springs to mind. Electronic singer/songwriter/multi-instrumentalist from Melbourne. Unlike many of his electronic contemporaries, Japanese Wallpaper focus's less on production, and more on melody to create his brand of lush, ambient pop. “Cocoon” is the first new track since his EP, and in no way departs from his cool and translucent signature style. This time round, Strum lends his own deep and raw vocals to the single, which adds a sincerity to the tenderness of the track and its subject. Gab Strum aka Japanese Wallpaper is the most recent winner of Triple J’s Unearthed high, but that’s merely the tip of the iceberg when it comes to Strum’s achievements over the last 12 months. Japanese Wallpaper returns with his third and arguably most mature single yet, ‘Between Friends (ft. Jesse Davidson). The track mixes Strums signature ambient, forlorn and swirling arrangements with equally young upstart Jesse Davidson’s heartbreakingly smooth vocals the perfect accompaniment. Huntly is a trio from Melbourne, creating "doof you can cry to". ‘Please’ is a tropical garage/2 step beat plagued by singers, Charlie’s and Elspeth’s aches for a lost lover. Continuing their theme of self-described “Doofs you can cry to,” ‘Please’ is a story of longing, anguish and catharsis. Abstract, Jazz inspired, singer-songwriter based in Alice Springs. Edward Francis uses swirling saxophones and scattered vocals accompanied by driving micro-house drums which please as much as they can disorientate. Braver is an open-letter to friends. “I think being honest and open with your friends, even with those you feel closest... the hardest thing can be admitting how important they are to you.” Swirling-saxophones and scattered-vocals are accompanied by driving micro-house drums which please as much as they can disorientate. Baby Blue taps into sounds of 60s surf rock, Americana & indie pop. The result is charming and considered concoction from an exciting new talent to watch. The first single from The sophomore EP by Melbourne's Baby Blue is a nihilistic garage psych burner. In the words of front woman Rhea Caldwell "Everything ends so do what you like with your life."